Red Dead Redemption 2's soundtrack is a large reason for its success. In case you forgot about the big (justified) hubbub Rockstar made when the project was announced, the original work includes works from "over 110 musicians." Although the work is comprised of many contributors like Arca (who has worked with Frank Ocean and Kanye West), Woody Jackson, the composer, allows the soundtrack to breathe with folksy tunes and evocations of western Americana. Daniel Lanois (who produced legends like Neil Young and Willie Nelson) worked on the vocal portions. The thing is, despite Red Dead 2's October 26 release last year, we still don't have the full edition to listen to. But that's changing soon. 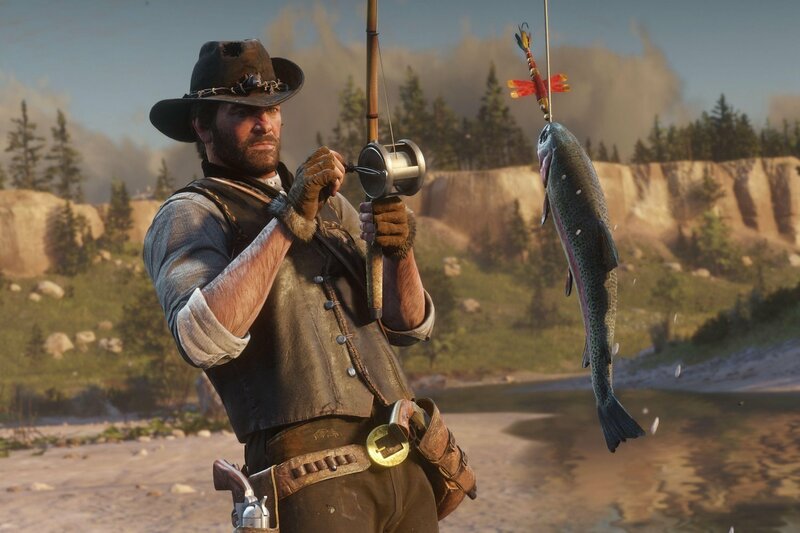 Announced at the Red Bull Music Festival this past week, Rockstar is bringing The Music of Red Dead Redemption 2 to the masses "this spring." Given how huge Red Dead Redemption 2 is and how much music is present, it'll be nice to have one central place to enjoy it.